If you are looking to add a Christmas tradition to your family, consider Elf on the Shelf. Our elf Charlie has been a part of our Christmas for years now. He comes every year and while we don’t focus solely on “being good” we do find that it is a fun and exciting way to encourage our kids to strive to be kind and do their best every day. Plus, Charlie can get mischievous, and that’s the fun of it all. The magical Scout Elves help Santa manage his naughty and nice lists by taking note of a family’s Christmas adventures and reporting back to Santa at the North Pole nightly. Each morning, the Scout Elf returns to its family and perches in a new spot, waiting for someone to spot them. Children love to wake up and race around the house looking for their Scout Elf each morning. How Do Elf Pets Work? Thanks to a magic heart charm worn around its neck, each of these Elf on the Shelf pets can help store the Christmas spirit necessary to make Santa’s sleigh soar. By adopting one of these snuggly Elf Pets® Reindeer and showing it love, children generate the merriment, wonder, and joy necessary to help Santa fulfill his Christmas Eve mission. This year, we gained a couple friends and let’s just say, they were well received. We added another boy Elf on a Shelf named Chip and an Elf Pet named Henry. He’s a reindeer but, you can also get a pet Saint Bernard. Plus, with Elf on the Shelf Couture, you can dress up your favourite elves in all kinds of outfits and accessories. It’s made this time of year and our tradition even more fun! 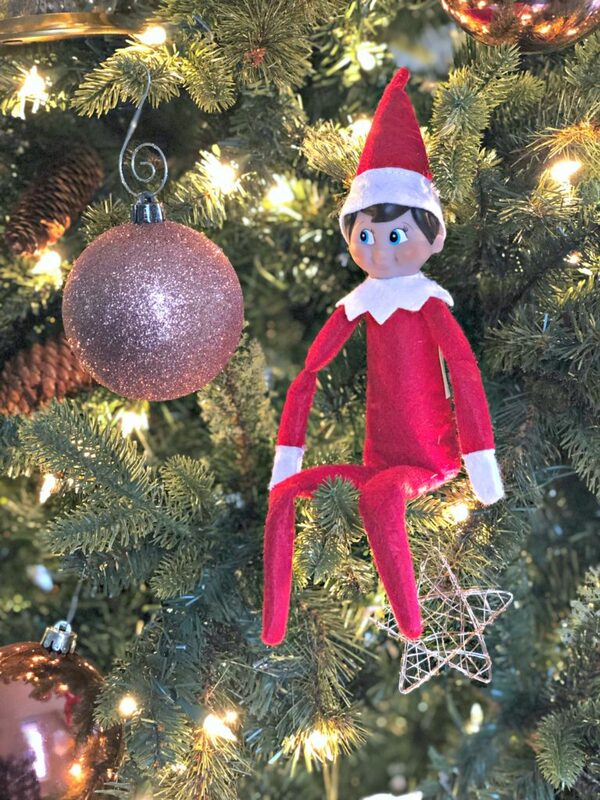 Since our love of Elf on the Shelf runs deep, I decided to compile a list of the best Elf on the Shelf ideas plus recipes, tips, and crafts that you can use when you adopt an elf or pet. Read on to bring your Elf on the Shelf game to the next level! I absolutely love this idea. 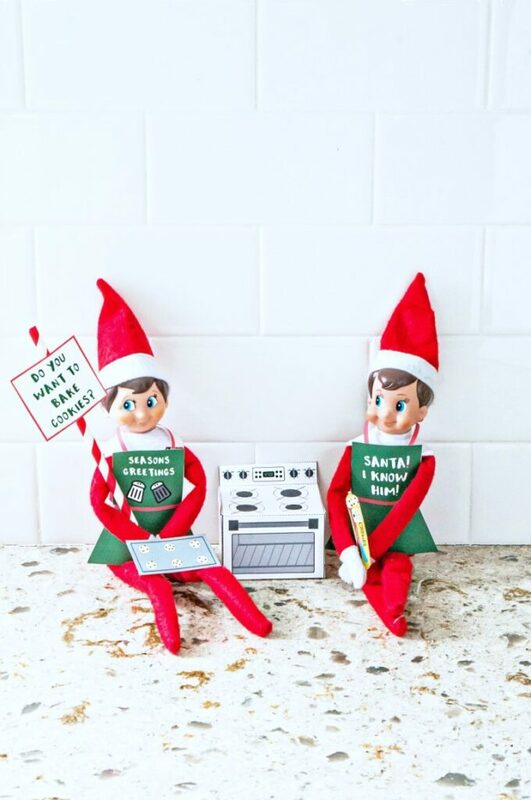 Holiday baking is a staple in our home and that means that the elves have to get in on the action. Mom Envy has a really sweet printable to set up a baking scene and best part? It’s FREE! All you need is the printables, scissors, glue or double-sided tape! This one made me giggle. The fact that it is so simple yet, so funny is what gets me. All you need is duct tape and a little imagination. Mommyhood Life has also compiled 23 more ways to keep your scout elves busy all season long. Now, my kids love to leave gifts for their elves. They’ll leave a treat or even a craft. I think ‘The Inspiration Edit’ hit the nail on the head with this craft. A perfectly cute portrait of themselves will make any elf happy! Their elf just might leave a treat for them too! Now that you have some fun and easy ideas, you’re ready for the Elf on the Shelf holiday season. 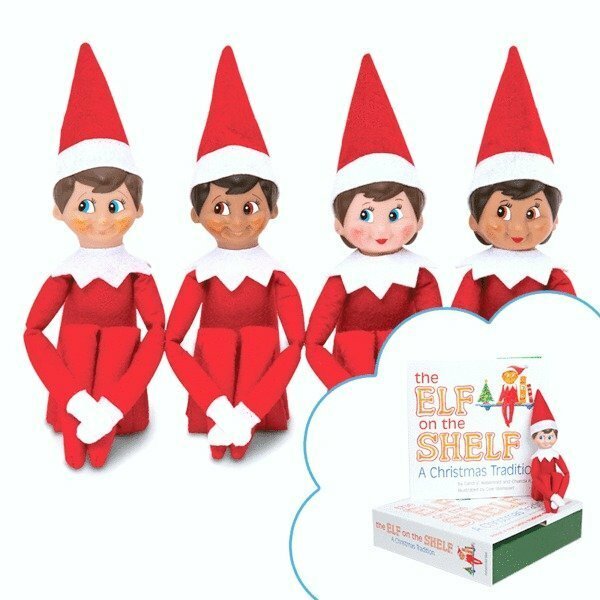 But, one lucky Whispered Inspirations reader will enter to WIN an Elf on the Shelf Scout Elf and Elf Pet. You can either add to your family or start your very own tradition! For more information, visit Elf on the Shelf and don’t forget to shop their scout elves, pets, and couture outfits. They’re fabulous, dahling! Do you do Elf on the Shelf in your home? My grandson says he would call the elf timbit and the elf pet blueberry. We would name him Elvis Elfie. On all forms . When I click to subscribe I get Error: channel ID is required. I am so sorry, did it get fixed? We have a pet Cat he does not like out Elf Alfred! I would name them Red Head Team! I would like to name my elf Sam. I would name my elf Georgie, for a good friend. My kids love their elf! Elf on Shelf is a great idea for all ages! My 8, 10 and 11 year old sons would love elf on the shelf. he seems like so much fun. Yes, I think that Elf on the Shelf is fun for families, my grandson calls his Joe. This will be the first year for us with Elf on the Shelf, it is going to be fun to see our granddaughters reaction every morning. We have Minty Snowflake that should be arriving any day now! No pets although I know my girls would love one – I’ll leave the naming to them. We would name the elf Holly. Elf on the Shelf is fun for families because he is cute and brings positive experience! We would call him Eddie The Elf. I would love to get an Elf on the Shelf, I think it is fun for families to have or come up with ideas for him daily! We love that sort of thing and are always doing funny things! Would spark lots of imaginative scenes! I would love this for my friend kids! We don’t have an Elf on the Shelf but if we did we’d name it “Seely Booth”. Happy holidays! We participate in the Elf on the Shelf tradition. Thank you for the ideas! I need some inspiration, usually ours just moves around the house. 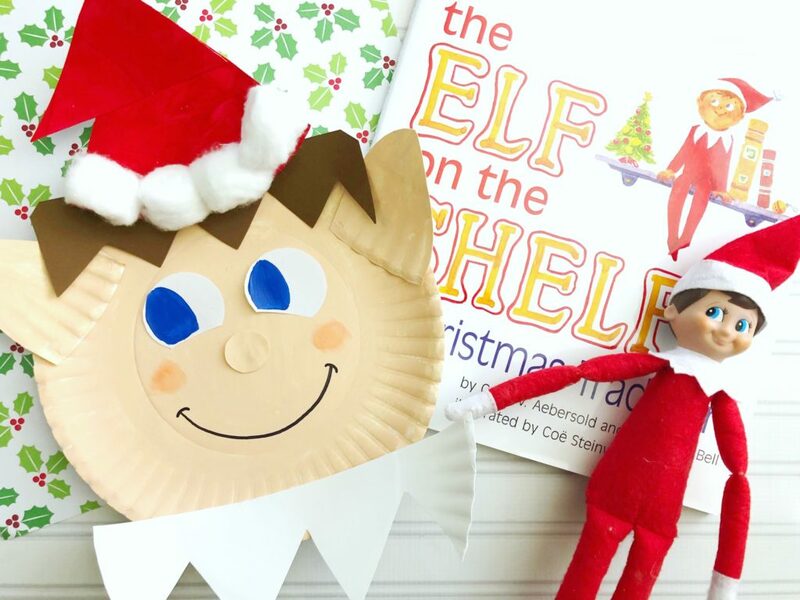 Elf on the Shelf is fun for families because he invited everyone to join adventures especially kids! I think we could name him Chris, would be so much fun! playing with toys is important for kids because it how they learn about the world around them. I would name the Elf, Lilly. I love the sound of it and the kids can say it easily. My daughter would love this so much. Playing with toys is so important for building imagination! This would be perfect for my neighbor she has 3 little girls! We would nameyour elf and elf pet Nick & Pete! I would name him Bompers! Elf on the Shelf would be named Bimbo! We would name them as Nick & Pete! Elf on the shelf is so fun! Ours arrived today via helicopter!! I would name our elf spanky, not sure why but sounds fun. We have never had an Elf on the Shelf. I am sure that my kids would come up with the perfect name if we had one. 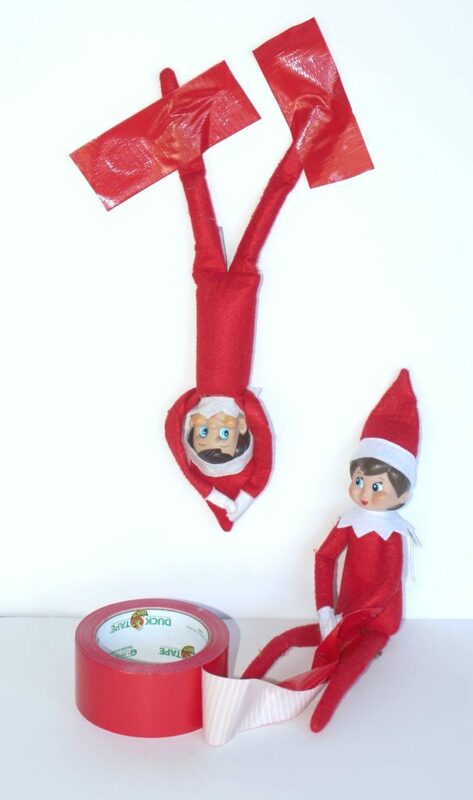 Elf on the Shelf is fun for families because it is long time family tradition! My daughter would love this! She has been asking about an Elf. We have an Elf already – her name is Sparkly Anna. If we got a friend for her, we would probably name it Glittery Elsa. My kids would probably name the pet Olaf. They love Frozen! 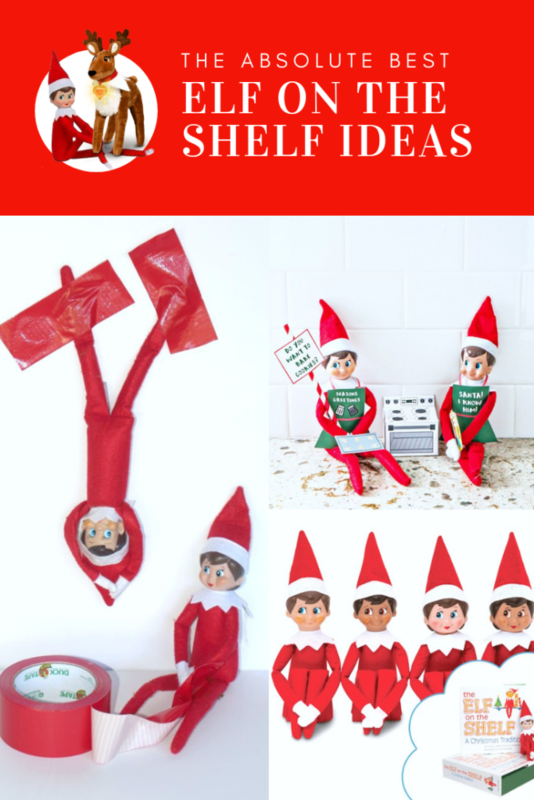 So many fun ideas for an elf on the shelf. We have never had one, but would love to get one! Would be lots of fun for the whole family! Elf on the Shelf is fun for families because it is a tradition for kids to anticipate every year! We would let my daughter name him and she would probably go with Joe or Bob. I would name my elf and elf pet as Nicj & Pete! There are so many fun ideas for elf on a shelf. I can see my kids enjoying this. We would name him spongebob just because the elf would be squeezable if you were allowed to touch him. I love Elf on the Shelf. I like that it gives the kids something to look forward to each morning – since our elf has returned, I’ve had no trouble getting the kids out of bed in the morning. They want to find where she is each morning! My 9 year old named her elf Sugar. Then she was so excited that she went online and had daddy help her order the set of 2 elves boy and girl. She’s still waiting for them to arrive and has already chosen their names. I’m pretty sure the girl is either peppermint or cinnamon and the boy is Spice. We are having fun with them however I always fall asleep and have to rush to move “Sugar “. I think once we have the others I’ll have more options for them. Oh and lord DO NOT TOUCH HER!!! Lol. She’s so sweet.